Breaking news. There’s a new trend emerging on Happelsauce. It’s vastly more obscure than my recent back to back salad posts. Hint: It rhymes with dream and dreamy. This new trend is what I call creamy without the cream. It is my new motto, apparently. Last week it was carbonara so rich and silky smooth from the egg and cheese; heartbreakingly creamy without the cream. Today it’s coconut cajeta, the sweet, dairy-free cousin of dulce de leche; breathtakingly creamy without the cream. My initial thought was…Not so fast, Cook Taste Eat! Everybody knows that coconut milk is besties with Asian-inspired curries, and now you want it to be friends with the avocado? How naive of me. 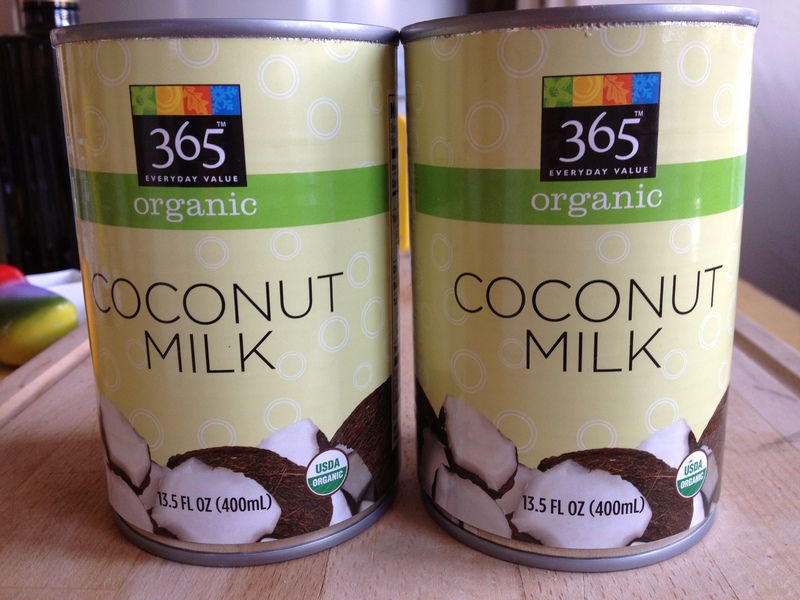 Coconut milk spends most of its life trapped in a can, it’s true. But once it’s pried open and poured, it becomes the staple we should never live without. In addition to being a classic curry component, it is an excellent substitute for cow’s milk and has a very mild taste with only the slightest coconut flavor. When boiled with brown sugar, it thickens, caramelizes, and turns to liquid gold. Liquid gold, I tell you! I added bittersweet chocolate, a touch of rum and a pinch of cayenne pepper for spice. After we’d licked our cioppino bowls clean, we scrounged up two more bowls from the depths of the kitchen cabinets – one for cajeta and one for Celebrity. We each wrote the names of five famous people, dead or alive, on a slip of paper and placed them in one bowl. 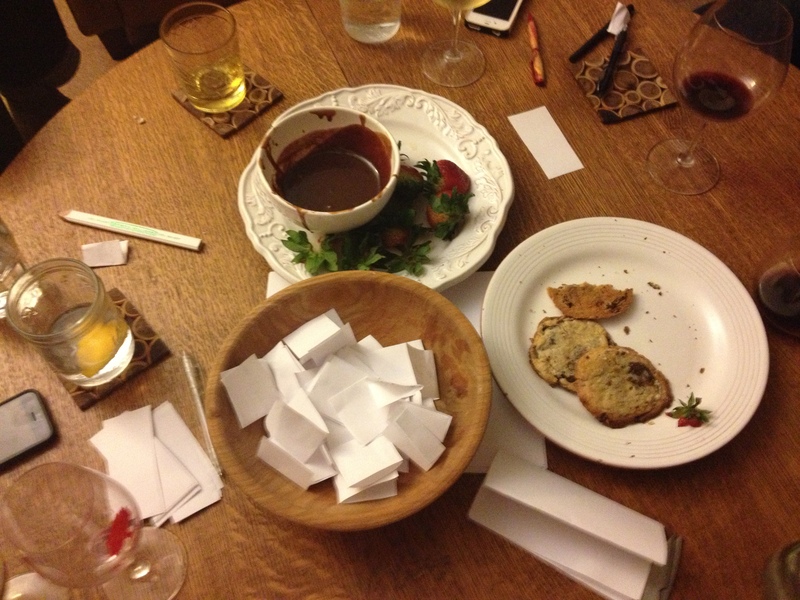 Then, we took turns…dipping fresh strawberries into the cajeta bowl and grabbing names from the Celebrity bowl. The game got rowdy. The cajeta and berries dwindled, diminished and then completely disappeared. On Cinco de Mayo, I’ll serve this cajeta drizzled on top of vanilla bean ice cream with fresh berries and roasted pepitas for a Mexican-inspired sundae. Or, I’ll skewer slices of Granny Smith apples and strawberries (green and red for the Mexican flag) for cajeta dipping. I can’t decide yet. Either way, it’ll be bueno. And dreamy. Combine coconut milk, brown sugar, and salt in a large, heavy skillet. Heat over medium heat until sugar dissolves, stirring occasionally. Increase heat to medium-high and cook until reduced and thickened, stirring frequently; this should take about 20 minutes. 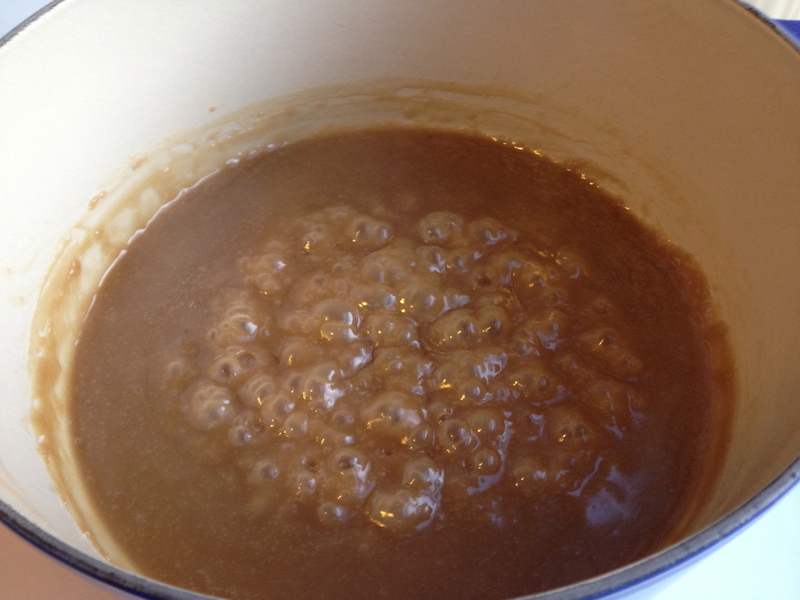 The mixture will darken and start to form larger bubbles. A wooden spoon scraped along the bottom from one end to another should leave a trail that “heals” within a few seconds. When this happens, remove from heat. 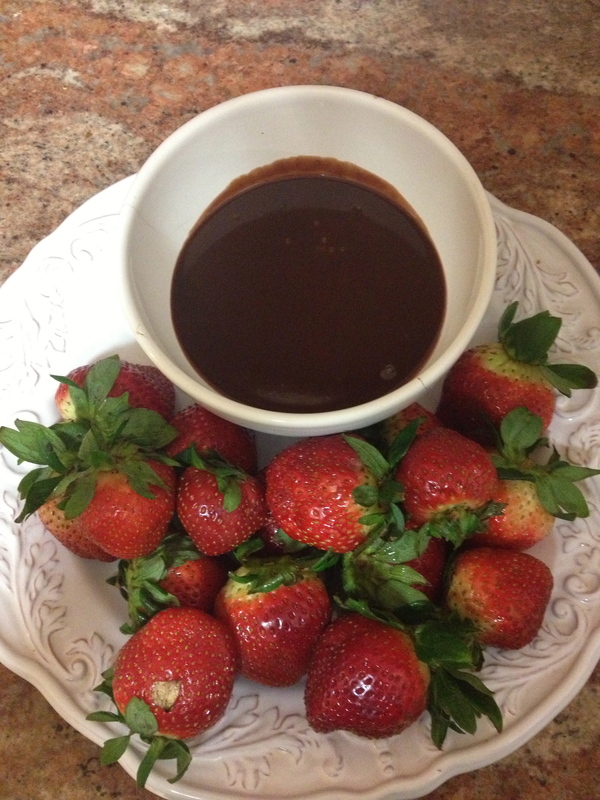 Add the chocolate, wait about 1 minute, then stir to incorporate. 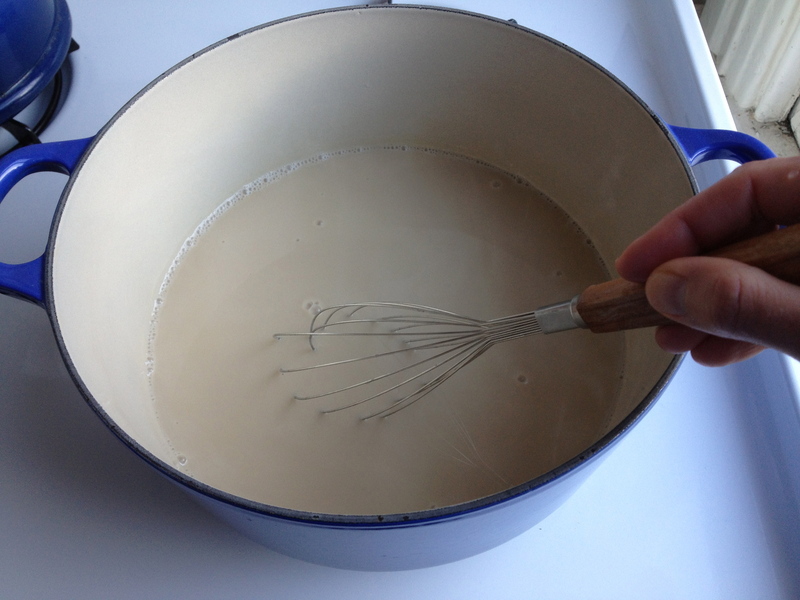 Once chocolate is fully melted, stir in the vanilla, rum and cayenne. Transfer to a ceramic bowl. Serve as a dip with fresh fruit or shortbread cookies, or as the ultimate ice cream topping. In exchange for writing this blog and tweeting a link to this blog, I received an entry into the Food Blogger to Media Star Promotion. For the Official Rules, visit http://www.cooktasteeat.com/food-blogger-media-star-official-rules.